Walking is the most common form of mobility and is generally how all trips start and end. Yet pedestrians are often forgotten in favor of motorised modes, resulting in congested and unsustainable cities with space for cars but not its residents. While there is growing acknowledgement that walking is the healthiest mode of mobility and is one of the biggest social equalisers in the world, the delivery mechanisms to promote walkability are often not comprehensive or lacking. 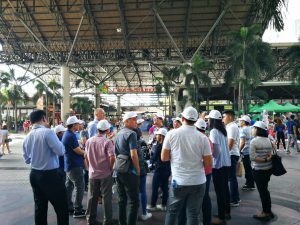 To address this gap, the NGO Walk21 developed an 8 Steps to Walkable Cities approach which, upon invitation from GIZ, they presented for the first time during a regional workshop in Metro Manila, Philippines, on 13-14 February 2019. The workshop was attended by over 60 participants with representatives from the government, private sector, and academe of India, Lao PDR, the Philippines, Thailand, and Viet Nam. Entitled 8 Steps to Walkable Cities in Asia, the workshop was jointly hosted by the Department of Transportation of the Philippines (DOTr) together with the Transformative Urban Mobility Initiative (TUMI), supported by the German Federal Ministry for Economic Cooperation and Development (BMZ) and the MobiliseYourCity Partnership (supported by TRANSfer III through the BMU). 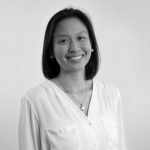 Targeting investment and evaluating effectiveness. 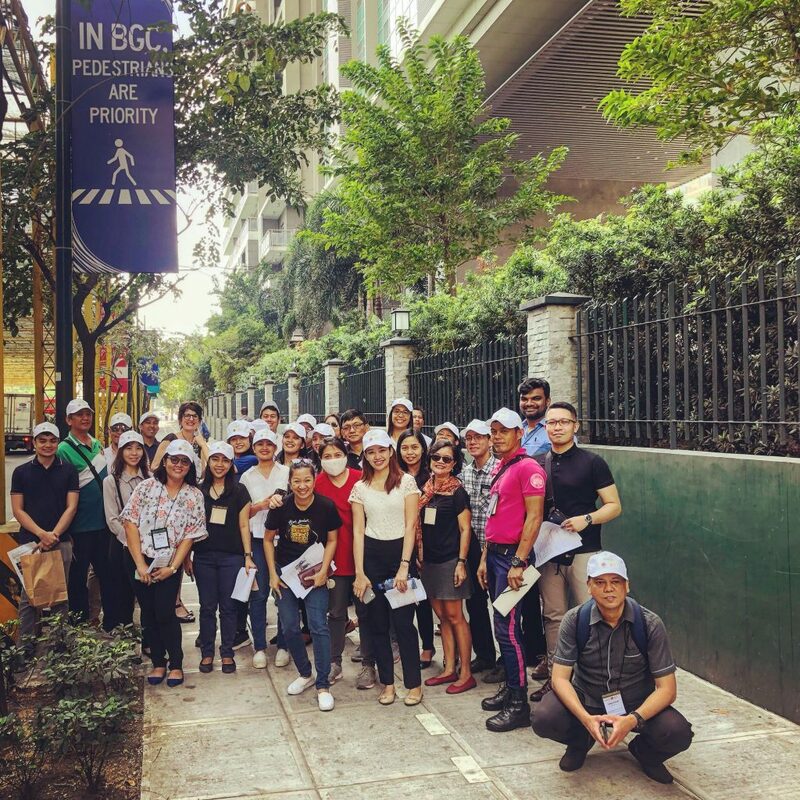 Walk21 Founder Jim Walker and CEO Bronwen Thornton tied in these ideas from the participants with their 8 Steps, case studies from around the world, and a walking audit in Manila..
Walk21 highlighted that the motivation behind a commitment to walking may differ for every city. For example, while London and Vienna promote walkability in the context of health and quality of life, respectively, Sydney and New York do it in the context of the economy. Citing examples from Asia, they noted that Seoul is committed because of road safety and Singapore because of climate. This highlights the need to involve and engage communities. 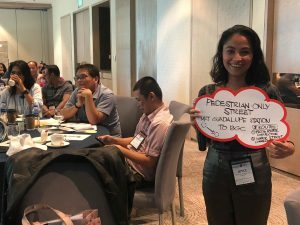 Walk21, TUMI, MobiliseYourCity and GIZ are here to support stakeholders worldwide to make life for pedestrians safer, healthier and more joyful. Please get in touch if you want to improve the walkability in your city.